The sooner you act, the sooner you can take advantage of the benefits. Do your credit scores need a boost? These numbers can affect everything from the apartment you qualify for to how much interest you pay on debt. Therefore, the sooner you get your scores up, the sooner you can take advantage of the benefits. Contrary to popular belief, you can improve your credit scores rather quickly -- just don't expect it to happen overnight. "Seeing any improvement could take 30 to 60 days," according to Liz Weston, personal finance columnist and author of "Your Credit Score, Your Money, & What's at Stake." If you are ready to get your credit scores in tip-top shape, you need to do a little homework first. Get a copy of your free credit report from annualcreditreport.com and check your credit scores regularly. Under federal law you're entitled to one free copy from each of the three credit bureaus: Equifax, Experian, and TransUnion, which each have their own score to measure you by. In most cases, credit scores must be obtained separately at a cost. Once you have your reports, check for any errors. A 2013 Federal Trade Commission study found that one in four consumers had errors on their credit reports. Credit report errors, like misreported credit limits or late payments, can have a significant impact on your credit scores. If you notice any errors, FICO has a guide on how to get them corrected. Finally, your credit scores will include score factors for each report. The score factors identify the issues affecting your score, which can greatly help in turning things around. Now that you are armed with your credit information, you can get to work. Here are seven easy ways to give your credit scores a quick boost. Tackle the oldest bills first. Accounts that are over 90 days late have a bigger negative impact on your scores than those that are 30 or 60 days overdue. Once you pay off the oldest bills, start paying off the rest of your past-due accounts. 2. Pay down as much debt as possible. The best way to improve your credit scores is to keep your debt-to-credit ratio as low as possible. Many experts recommend using less than 30% of your available credit, but less is even better. "While zero credit debt should be your ultimate goal, the lower the balances the better for your credit scores," said John Ulzheimer, credit expert at CreditSesame.com. "The people who have the highest scores in the country have an average debt-to-limit ratio of 7%." Once your balance is low, keep it that way. 3. 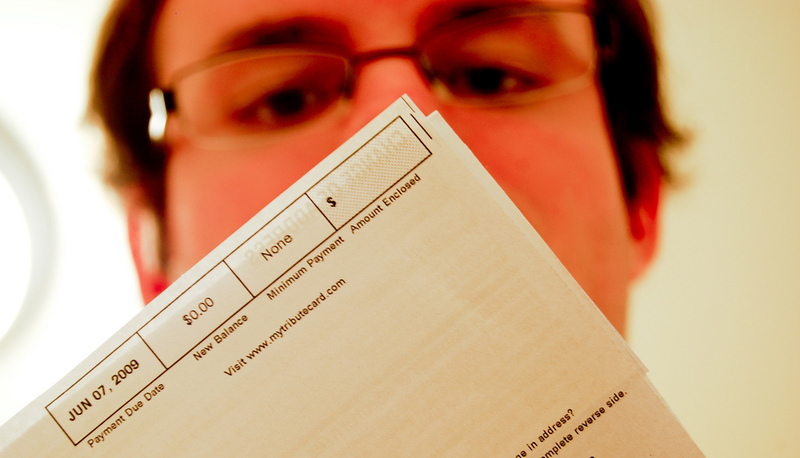 Make your payments before the billing cycle ends. Some card issuers report the last number on your statement as the amount owed. When this happens, even if you are paying your balance in full each month, the balance on your last bill is the one that gets factored into your credit scores. Making multiple payments in one billing cycle or one large payment just before your billing cycle ends will lower your balance before the credit card company has a chance to report it to the credit bureaus. 4. Become an authorized user. Ask a primary cardholder, like a family member or loved one, if you can get an authorized card in your name on their credit account. "You will immediately get the benefit of the account in your credit scores once it has been added to your credit reports, which normally takes no more than 30 to 60 days," Ulzheimer said. While the authorized-user strategy is a great way to add payment history to your credit reports, you should only engage in this tactic with someone you deeply trust. Once you are both authorized users on an account, you both can affect the credit of the other person -- for better or for worse. 5. Get your limits raised. This is a quick, easy way to lower your credit utilization ratio, which accounts for about 30% of your credit scores. In many cases, you can accomplish this with a simple call to your card issuers. Raising your limits is risky if you have a history of poor credit card use, so only do this if you are certain you won't just turn around and increase your credit card spending once your limit is larger. The simplest way to improve and maintain your credit scores is to just pay your bills on time. Your payment history accounts for the largest percentage of your credit scores (35%), so the more bills you pay on time the higher your scores will be. Don't make any big purchases, shop around for credit, take out cash advances, or miss any payments while you are trying to raise your scores. That kind of behavior is a red flag for creditors, as they're considered signs of financial stress.